Ignorance, Misinformation and Collusion Lead to a Second Obama Term! And it has brought us to this trainwreck called ObamaCare and we have bankrupted our kids and grandkids! 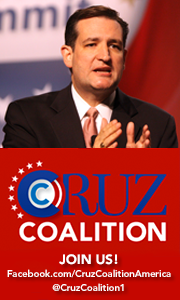 We are now headed into the 2014 Election Season and common sense and conservatism are on the rise. Please stand-up and be counted! Reading Collusion: How the Media Stole the 2012 Election is a great place to start! And remember the words of Thomas Jefferson "The strongest reason for the people to retain the right to keep and bear arms is, as a last resort, to protect themselves against tyranny in government." See Video of Suzanna Gratia-Hupp’s Congressional Testimony: What the Second Amendment is REALLY For, below (u-tube HERE). Can You Really Still Believe That None of These People Would Have Done a Better Job??? As you watch, just imagine if George W. Bush had done these gaffes. We wouldn't hear the end of it. Or how about the un-ending media taunts of and down right lies about Sarah Palin and now Michele Bachmann and many of the rest of the GOP field… The media so unfairly went after Palin, like for years they did with Dan Quayle. This type of unfair abuse of politicians even coined new words: Quaylenized or Palinized. Yet with Obama, the media ignores virtually mistakes, goofs, and misstatements. And this type of media failure is called ‘blind worship’ or ‘selling out’! Today Obama got his daughter, Malia’s, age wrong twice during a press conference. Can you imagine if it had been Palin, Bachmann or any of the GOP candidates? Can Any Republican Presidential Candidate Withstand Being Palinized? Was John Lennon a Closet Republican? It Seems So! Video: What Is Coming Our Way and Who Do You Trust? Says get and be prepared! A spokesman for U.N. Secretary General Ban Ki-moon confirmed today that the secretary general sent a message in support of an Iranian government “counter-terrorism conference” in Tehran. Iran has been at the top of the State Department’s list of terrorism sponsoring states for years. Moreover, it is known to support terrorist regimes across the mid-east region and beyond, including Hamas and Hezbollah. For good measure, Sudanese President Omar al-Bashir was also in attendance. There is currently an outstanding International Criminal Court warrant for Bashir’s arrest for his (alleged) war crimes. Remember when Glenn Beck warned about the NOW attack coming on US, UK and Israel and the leftist media laughed… Guess it isn’t as funny more?!? BUDAPEST, Hungary (The Blaze/AP) — The Obama administration is reaching out to the Muslim Brotherhood in a “limited” effort to build ties and promote democratic principles ahead of Egypt’s upcoming parliamentary and presidential elections. Secretary of State Hillary Rodham Clinton says the U.S. isn’t adopting a new policy. She says the administration wants to engage all Egyptian groups as long as they espouse nonviolence. Clinton says the hardline group also must respect minority rights and the full inclusion of women in the political sphere. The Brotherhood favors a regime guided by Islamic Sharia law and was outlawed under former strongman Hosni Mubarak. It also reportedly birthed the major terrorist group, Hamas. Israel is wary of any engagement with the Muslim Brotherhood because of the hostility some of its members have expressed toward the Jewish state. Hmmm… Seems to make her connection through Weiner’s wife a lot clearer… Remember: Anthony Weiner: Mother-in-Law a Member of Muslim Brotherhood? So what happened to all the coverage and inquiries into this?? To delve deeper Muasher, former deputy prime minster of Jordan, oversees research at the Soros-funded Carnegie Endowment for International Peace. Considering these “designs,” the group’s swift, successful entrenchment around the globe, and its spawning of such alumni as current al-Qaeda chief Ayman al-Zawahiri, only the willfully naive or complicit could claim that the Brotherhood shouldn’t be taken seriously as a threat. Whichever Muasher is guilty of, he feels perfectly comfortable inviting the Brotherhood into the political mix of the Arab world’s current turmoil. A recent report reveals that Muasher, a former Jordanian diplomat, has praised the revolutions rocking the region and has called for the inclusion of Islamist groups in any pluralistic, fledgling democracies that may emerge. The ostensible reasoning is that Muslim fundamentalists like the Brotherhood have a legitimate role to play and deserve to be allowed to compete on the supposedly level playing field of the marketplace of ideas. It might even temper their radicalism. ElBaradei, on the other hand, sits on the board of Soros’ International Crisis Group and is reportedly seeking to run for president in Egypt. A Washington Post OpEd written by Soros in February perhaps revealed the first signs of Soros’ Muslim Bortherhood sympathies blooming. 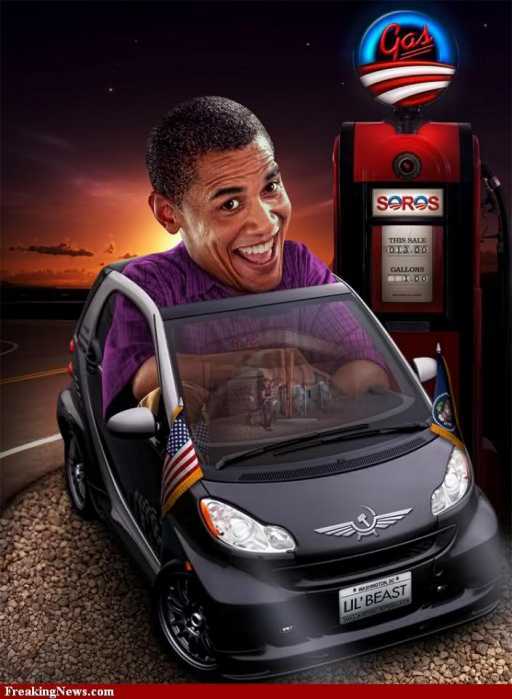 After unilaterally deciding America’s power and influence in the world had all but vanished, Soros trivialized American and Israeli fears over the civil unrest in Egypt, and dismissed the idea that dissidents who sought to topple the Mubarak regime would be be hostile to Israel. Soros even went so far as to say the dissidents were “not advancing a theocratic agenda at all.” Soros then praised the only organized political force in the region: you guessed it — the Muslim Brotherhood. President Obama personally and the United States as a country have much to gain by moving out in front and siding with the public demand for dignity and democracy. This would help rebuild America’s leadership and remove a lingering structural weakness in our alliances that comes from being associated with unpopular and repressive regimes. Most important, doing so would open the way to peaceful progress in the region. The Muslim Brotherhood’s cooperation with Mohamed ElBaradei, the Nobel laureate who is seeking to run for president, is a hopeful sign that it intends to play a constructive role in a democratic political system. As regards contagion, it is more likely to endanger the enemies of the United States – Syria and Iran – than our allies, provided that they are willing to move out ahead of the avalanche. The main stumbling block is Israel. In reality, Israel has as much to gain from the spread of democracy in the Middle East as the United States has. But Israel is unlikely to recognize its own best interests because the change is too sudden and carries too many risks. The U.S. would repair its alleged “structural weakness” and “have much to gain” by aiding dissidents — dissidents America knew nothing about — topple a sitting regime with which it already had good relations. The Muslim Brotherhood, with its history of violence, allegedly shows promising signs it intends to embrace democracy because it cooperated with one Mohamed ElBaradei, “Nobel laureate. If past Nobel prize winners are any indication, that’s not exactly encouraging. Well that certainly is some Orwellian logic Soros has going for him. The ICG report also allegedly called on then President Hosni Mubarak to allow the “establishment of a political party with religious reference” i.e. Muslim Brotherhood. U.S. board members include Zbigniew Brzezinski, who was national security adviser to Jimmy Carter; Samuel Berger, who was Bill Clinton’s national security adviser; and retired U.S. ambassador Thomas Pickering, who made headlines in 2009 after meeting with Hamas leaders and calling for the U.S. to open ties to the Islamist group. Given his penchant for an “all-inclusive” one world government, one wonders what Soros sees in the militant Muslim Brotherhood. Perhaps he just sees the alliance as an opportunity to side against his enemies the U.S. and Israel, and subvert their efforts abroad. Herman Cain: "Stupid People Are Ruining America"
Courage or Mobology… Where Are We Headed? When Beck left near the end of the movie, the crowd applauded. All through the evening, I wanted to say to you today, please, please, please don’t ever treat anybody like that. If Van Jones comes and sits next to you, please don’t treat anybody like that, and then I realized I don’t have to say that to you. I was there at 8/28. I saw when people were pointing their finger in your face and calling you a racist, setting you up, egging you on, I saw how you reacted. I don’t have to tell you that. Later in the evening, he admitted he had to call his daughter and console her because she was so distraught. Yesterday, Glenn shared his story about the hostile environment he and his family experienced while attending movie night in Bryant Park Monday evening. While trying to catch a showing of Hitchock’s The 39 Steps, fellow moviegoers were anything but friendly, shouting hateful messages and even kicking a glass of wine on Glenn’s wife’s back. Today, we hear from the other side. Lindsey Piscitell, a young woman who says she was sitting behind Glenn and his family, has written a response letter to New York Magazine about the incident. Glenn chose to read her response on radio this morning. Well doesn’t that sound loving and rather timely? As Glenn Beck’s finale show on Fox News draws near, the folks at George Soros’ progressive Media Matters are tickled pink. So much so in fact, they even hosted a soiree to celebrate their victory. The group gives themselves a hearty pat on the back and all the kudos for “getting Glenn off the air” by claiming to have pressured advertisers into pulling out of Beck’s time-slot. Huffington Post’s Zach Carter interviewed various Media Matterites at the event, many of whom said now that Beck is “gone” they’ll be ever-vigilant of the remaining “right wing media nuts” out there — which, according to one attendee, constitutes the entire Fox News network. Ironic, considering a recent UCLA study actually puts Fox News left of center. Regarding Beck’s plans for the future, another guest at the event believes Beck should “look into the internet” as it provides a large audience of people interested in “baseless conspiracy theories.” Speaking of conspiracies — Carter pointed out to the guest that George Soros, who funds Media Matters, had been shorting Beck on Intrade. “How is that not market manipulation?” Carter asked. Naturally, the question was dodged. The group that was formed out of a paranoid belief in a right-wing media “conspiracy” doesn’t believe they, themselves, are conspiracy theorists. Priceless. The amusing part is that his last show isn’t until Thursday, 06.30.11, not yesterday, so they celebrated a bit early. Plus as Beck says… they will probably soon be wishing for the days where he was only on TV for an hour 5-days per week. Through GBTV and his other Mercruy Arts radio projects, Beck or his programming will now be available and reaching people 24/7. His second to last show starts in about an hour: 5PM ET and 2PN PT and will re-run tonight at 2AM ET and 11PM PT. radio, a live event, at www.GlennBeckcom or at GBTV.com Hope to see you with Glenn in Isreal!! Today, Tuesday 06.28.11, both Obama on so-called official business and Sarah Palin for the opening of Undefeated were in Iowa… Wanna guess who drew the largest crowd? Hint: It wasn’t Obama!! One of the most talked about subjects in politics is whether or not Sarah Palin will run for the presidency. It's frankly anyone's guess which direction she will go with her decision and when she will make the decision. However, if Palin doesn't run it will be a disaster for the Republican Party and quite possibly the country. Aside from the fact that there isn't another libertarian-conservative in the race, at least not another one who isn't an international isolationist, if Palin doesn't run, it will represent an enormous victory for the Republican beltway establishment and the big players in the left-wing-dominated media. Furthermore, the leftist media will learn a fool-proof means to destroy any political opponent in a manner that will likely result in another four years of Obama. In watching the coverage of the announced candidates, the alarm bells should be clanging violently. The fact that the leftist media hasn't really gone after the other Republican politicians in the race should be a violent warning to all conservatives and libertarians out there. It's totally out of character for the leftist media to not bring up Newt Gingrich's infidelity every ten minutes, or to have squads of reporters interviewing every foster child of Michele Bachmann that can be found to try to dig up some dirt. The rigorous inspection that has been visited upon Sarah Palin hasn't even started on the remainder of the Republican field. However, that doesn't mean the media has tacked suddenly to the center; far from it. Throughout the last two years the media has embarked on a vitriolic, obsessed campaign to destroy Sarah Palin, not just as a politician but also as a person. They manipulated the legal system to try to bankrupt her while in office; they hacked her personal email and forced the release of her official email. When all of that produced nothing consequential, they simply made up the stories they wished and put them out to be in every headline for two weeks until they have the majority believing their deceits. As an example, ask any ten people you know who said, "I can see Russia from my house," and probably most of them will incorrectly name Sarah Palin rather than the comedian Tina Fey who actually said it. To the media, facts are unimportant so long as the story forwards the agenda. If Sarah Palin doesn't run for president, the operatives in the media and Beltway establishment will have learned a fool-proof method of destroying any political opponent. If they are allowed to successfully paint a politician as stupid without any facts, merely because they disagree with the "aristocracy," America will be left with a choice of RINOs or progressive socialists. If that happens then the transformation of America from a libertarian culture to one of socialism and government dependence may very well be irreparable. Assuming that Sarah Palin doesn't run the campaign will go sort of like this: the media will talk up the largest RINO they can find in an attempt to split the Republican Party from within. However, the real dirt will be kept securely under wraps. 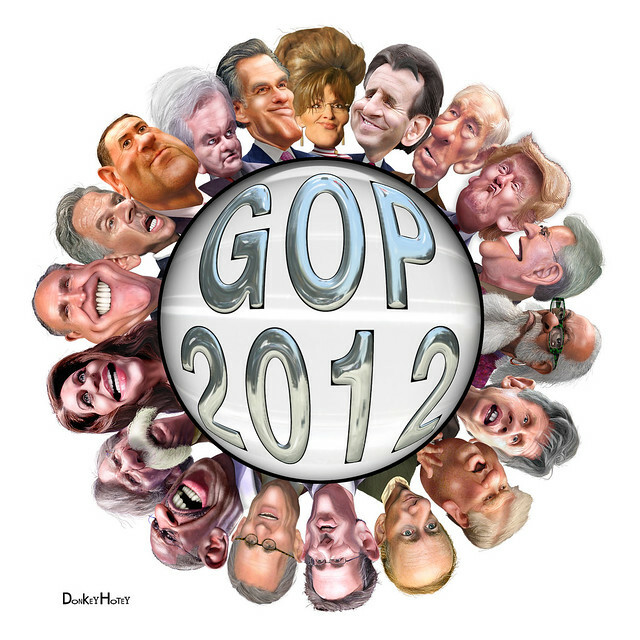 As the Republican primary nears its close, the research effort will go into full force. They will send squads of lawyers to go into every tiny detail of the candidate's personal and professional life. They will examine every detail of the life of the nominee from the day of their birth. The researchers will talk to every ex-boyfriend or girlfriend, every business partner, and any employees they can find. By contrast, if Sarah Palin runs, the media has already shot all of their ammo. They have done everything they can possibly do to destroy her but she has learned how to counter them via Facebook, Twitter, and streaming video. The accusations against Palin and her children have been flying in for two years and have failed to destroy her. All they have left is to repeat the old tired line of "Palin is an idiot." Of course it wouldn't take more than a debate or two, nationally televised with live video, to dispel that myth with everyone that can possibly be persuaded. The problem with the media is that all they have left to shoot are lies which can't stand in the light of day, and even all the plausible lies have been spent by Palin's opponents. If Palin wins the primary, the leftist media will be left to incoherent rage watched by fewer and fewer Americans. With a properly run campaign, Palin will be able to easily counter the media perpetuated perception of stupidity with all except those that are so ideologically or emotionally committed as to be unpersuadable. Furthermore, on the issues Palin will be able to bring all guns blazing against Obama rather than being handicapped by prior records of endorsing government-mandated healthcare or global warming hysteria. On the issues, Palin's conservatism combined with her small-government libertarianism will make a stark contrast to Obama who will now be forced to defend his policies rather than run on emotion ad-hominem attacks and catchy phrases. When the political calculus is done, it is clear that Palin is the only real conservative with libertarian leanings that can possibly be elected in the country. Although there are other conservatives with promise such as Bachmann, Cain, and West, they have not been subjected to the vetting that Sarah Palin has and there should be no doubt that the media will do everything they possibly can to destroy them should they win the nomination. Brazile: Are You Ready to Hear ‘Sarah Palin’ for President? A patent filed by Microsoft reveals the company has voluntarily created software that provides the Government and other agencies seeking to spy on you with the ability to easily intercept, re-route and record all forms of personal digital communications, including Skype calls which are directly named in the patent. A patent filed by Microsoft seeks to give the company exclusive rights to intercept personal electronic communications and resend them directly to the Government and other agencies who may be seeking to spy on you. By filing the patent, Microsoft clearly shows they have voluntarily created the software, instead of waiting for a Government mandate to do so. The patent states that “the government or one of its agencies may need to monitor communications” and software acts as a “recording agent” that is able to silently record the communication”. The patent specifically names certain types of communications, such as Skype calls, instant messaging, video conferencing software, and even meeting software but does not stop there. Instead it goes on to label just about all electronic devices you can think of as a computer and requests for a patent to be able to intercept digital communications from those devices, and even access data stored in a variety of other storage mediums, and forward the to the Government. A Gizmodo article on the patent points out that Microsoft appears to trying to patent Skype spying, which is specifically named within the patent, but the scope of patent goes far beyond the ability to just spy on Skype calls. Only by digging into the patent can you see the deceptiveness in Microsoft’s the labeling of certain technologies and realize the true scope of what the software company is trying to provide the Government easy access to spy on. For example, the label all packet-based communication as VoIP, which clearly nothing is further from the truth. All data that can be sent over the internet is a “packet-based communication”. [...] the term VoIP is used to refer to standard VoIP as well as any other form of packet-based communication that may be used to transmit audio over a wireless and/or wired network. For example, VoIP may include audio messages transmitted via gaming systems, instant messaging protocols that transmit audio, Skype and Skype-like applications, meeting software, video conferencing software, and the like. The patent goes on and deceptively labels all digital electronic devices as computers, say that everything from computers, to printers, gaming devices, automobile systems, even printers, home appliances and all other mobile based electronics are computers. The patent even applies to microcontroller which are often the brain of electronic devices and used in products ranging from automobile engine control systems, implantable medical devices, remote controls, office machines, appliances, power tools, and even toys. Examples of well known computing systems, environments, or configurations that may be suitable for use [include] personal computers, server computers, hand-held or laptop devices, multiprocessor systems, microcontroller-based systems, set-top boxes, programmable consumer electronics, network PCs, minicomputers, mainframe computers, personal digital assistants (PDAs), smartphones, gaming devices, printers, appliances including set-top, media center, or other appliances, automobile-embedded or attached computing devices, other mobile devices, distributed computing environments that include any of the above systems or devices, and the like. The patent also doesn’t stop with computers or even communications for that matter. It targets a variety of offline mediums that can used to store data and even computer programs themselves. [...] a variety of computer-readable media [including] any available media that can be accessed by the computer removable and non-removable media implemented in any method or technology for storage of information such as computer-readable instructions, data structures, program modules, or other data. Computer storage media includes RAM, ROM, EEPROM, flash memory or other memory technology, CD-ROM, digital versatile discs (DVDs) or other optical disk storage, magnetic cassettes, magnetic tape, magnetic disk storage or other magnetic storage devices, or any other medium which can be used to store the desired information and which can be accessed by the computer. The patent further reveals that the software’s capability includes the ability to intercept all digital communications regardless of the medium, or whether they are online or offline, bluntly including the ability to intercept all modulated data signals. 1. A method implemented at least in part by a computer, the method comprising: receiving data regarding establishing a communication session between at least two entities via a switched packet network for a communication that includes audio; locating one or more parameters in the data that indicate one or more local candidate communication points of at least one of the at least two entities; removing the one or more parameters from the data to cause the communication session to be established over a path that includes a recording agent that is capable of silently copying the communication between the at least two entities; and providing the data with the parameters removed to a protocol entity that uses the data to follow a communication protocol to establish the communication session via the path, the protocol entity potentially including one or more of the at least two entities and/or any entity that interacts with one or more of the at least two entities. 2. The method of claim 1, wherein receiving data regarding establishing a communication session between at least two entities comprises receiving the data from a call server that is involved in establishing the communication session, the call server responsible at least for relaying invite requests from a requesting one of the entities to a receiving one of the entities, the call server configurable to provide the data to a recording agent before establishing the communication session. 20. The apparatus of claim 19, further comprising a recorder manager operable to configure a recording agent to silently copy communication transmitted via the communication session. Plain old telephone service (POTS) allows people from all over the world to talk to each other through the use of telephones. POTS has been around since the late 19th century and has remained basically the same. In traditional usage, POTS has transmitted voice communications using electrical signals that are transmitted via pairs of wires. Central offices establish connections between callers and those called. Sometimes, a government or one of its agencies may need to monitor communications between telephone users. To do this with POTS, after obtaining the appropriate legal permission, a recording device may be placed at a central office associated with a selected telephone number. Electrical signals corresponding to sound to and from the telephones at the selected telephone number may be monitored and transformed into sound. This sound may then be recorded by the recording device without the telephone users being aware of the recording. With new Voice over Internet Protocol (VoIP) and other communication technology, the POTS model for recording communications does not work. Briefly, aspects of the subject matter described herein relate to silently recording communications. In aspects, data associated with a request to establish a communication is modified to cause the communication to be established via a path that includes a recording agent. Modification may include, for example, adding, changing, and/or deleting data within the data. The data as modified is then passed to a protocol entity that uses the data to establish. Aspects of the subject matter described herein are operational with numerous other general purpose or special purpose computing system environments or configurations. Examples of well known computing systems, environments, or configurations that may be suitable for use with aspects of the subject matter described herein comprise personal computers, server computers, hand-held or laptop devices, multiprocessor systems, microcontroller-based systems, set-top boxes, programmable consumer electronics, network PCs, minicomputers, mainframe computers, personal digital assistants (PDAs), smartphones, gaming devices, printers, appliances including set-top, media center, or other appliances, automobile-embedded or attached computing devices, other mobile devices, distributed computing environments that include any of the above systems or devices, and the like. Is anyone surprised out there?? Bill Gates… Mr. Bilderberg depopulation guy himself wants to help the government spy on you?? Again… Seems that before every patriotic holiday we are hearing stories like these!?! Stand up America, while you still can!!! 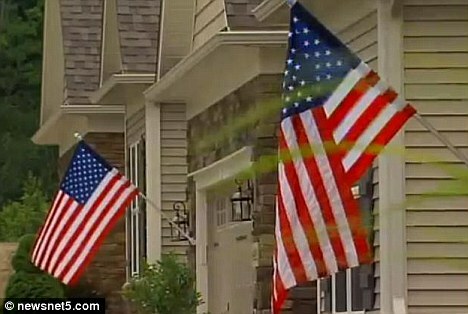 A 77-year-old Army veteran is being threatened with legal action for flying the American flag in his front yard. 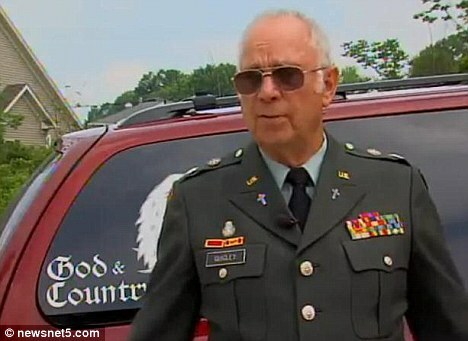 Fred Quigley, of Macedonia, Ohio, a retired Army chaplain and minister who served active duty during the Vietnam War, has been told his flag violates his homeowners association's rules on flagpoles. As an alternative, the association offered to place the flag at the entrance of the development, but Mr Quigley refused. Mr Quigley said: 'It's the principle. It's about patriotism, and the soldiers I've had to hold as they were dying. 'It's just important to me to be bold with the flag. Mr Quigley's lawyer Gerald Patronite said the association has no right to stop his client. 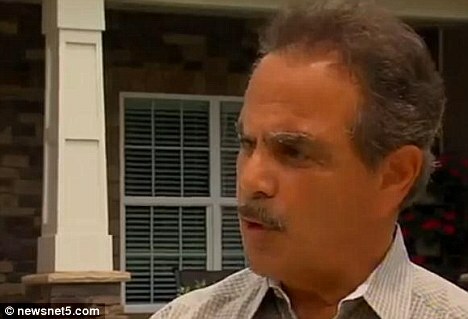 He cites a 2003 state statute that addresses the homeowner's rights in such a dispute. 'Essentially, no deed restriction or association can abridge this right to display the flag,' he told AOL Real Estate. Mr Patronite said that the HOA's rules state that a flag can only be displayed if affixed to the home. But doing so would mean Mr Quigley would have to put up a much smaller flag. Mr Quigley's daughter, Karen Wilson, said that she doesn't understand how anyone could deny her father the right to raise the flag. She said: 'It's a standard 15ft pole, with 3ft by 5ft flag. Joseph Migliorini, the representative for the homeowner's association and former mayor of Macedonia, which is between Cleveland and Akron, said he plans to take Quigley to court if the flagpole is not removed. Mr Migliorini said: 'We just want the rules and regulations followed. This is not the first time that homeowners have clashed with a homeowners association over the right to display the flag. In that case, the 'Freedom to Display the American Flag Act' of 2005 was cited to uphold the homeowner's right. On Wednesday, members of the local American Legion post joined Mr. Quigley in a flag-raising ceremony in protest at the association's policy. Mr. Quigley said that he's been given until Monday to remove the flag, or legal action will be taken by the association. 7 Tipping Points that Changed the World… Are We At Another One? What are the pivotal moments in history that led to the world being the way that it is today? Do NOT miss next week. There are only four Beck shows left! Next Thursday will be Glenn’s final show on Fox. After that you can find him on GBTV.com, his radio, the Blaze and his other online and live show ventures. The fact of the matter is that if the election were to be held today, Obama would lose by 5 points to your mother-in-law, by 7 points to Muammar Ghaddafy, and possibly by double digits to Gary Busey. David Axelrod might think it’s still cool to like Obama, but who’s taking advice on coolness from a guy with a Hitler comb-over and mustache? Check the photos — they appear to have separated at birth. Maybe the people watching Jersey Shore still think it’s cool to be stupid, but they aren’t very likely to be able to carry the election for Obie Done. With all the talk about the weakness of the current crop of Republican presidential candidates, did you ever stop to think how the Flower of Affirmative Action got nominated in the first place? The Democrat slate was so weak in 2008 that über-sleazoid John Edwards was a serious contender and actually bamboozled 4.5 delegates to vote for him at the convention, despite the fact that he was battling with National Enquirer reporters in hotel bathrooms to keep his baby-mama under wraps. Other serious contenders included the morally bankrupt Chris Dodd, the charismatically bankrupt New Mexico governor, Bill Richardson, the intellectually bankrupt Joe Biden and the spiritually, philosophically, and morphologically bankrupt queen of spite and smoocher of the Arafats, Hillary Clinton. Did I leave out Dennis Kucinich? Doesn’t every serious person leave out Dennis Kucinich? Never mind that pre-Tea Party Republicans allowed the media and the cross-over primary voting processes in several states to choose Senator Doofus of Arizona as our candidate, a man who deservedly served as the caboose in his graduating class from the Naval Academy. McCain is such a pitiful excuse for a Republican that he makes the other RINOs look Reaganesque in comparison. The B.O. Media has already found its 2012 version of McCain and is scavenging to gin up support for Jon Huntsman. He’s pals with B.O. and the Chinese and believes in global warming. I guess you could say that Romney and Huntsman are members of the Latter Day Republicans. Huntsman, like his aisle-crossing predecessor McCain, may just be the only nominally Republican candidate incapable of thrashing the golfing, basketball playing, ice-cream cone eating, Israel-bashing, United Kingdom-dissing, czar-appointing, bowing and scraping impostor currently spending America's money like an aircraft carrier full of drunken sailors. Huntsman's speeches all have that John McCain coda: "I respect the President." Trouble is, fewer and fewer do. Conservatives believe he is a socialist and redistributionist. Liberals think he's taken on too many of George Bush's policies. Moderates don't really believe much of anything anyway, but you can bet they concur with the libs and conservatives that B.O. is a liar. It's gotten so bad that when B.O. tried to suggest to his own Democratic National Committee that his administration had created over 2.1 million jobs in the past 15 months, the closed caption script suggested laughter. Of course he has since gotten the Huffington Post and his WH staff to switch the description from "Laughter" to "Applause," but the Caesar from Indonesia is no longer fooling anybody. If it weren't for the torrential rains across the Midwest and the unusual tornado activity there, people in Idaho would be able to smell this administration, whose policies decidedly stink on ice. His foreign policies are Carteresque, his economic policies are Hooveresque, and his administration's ethics are Clintonesque. B.O. 's approach to the Presidency is so abhorrent, that he may actually be able to accomplish something that even Jimmy Carter couldn't do: he might actually lose the votes of liberal Jewish Americans. It must have been hard for the crossover voters like Christopher Buckley and Peggy Noonan in 2008 to pull the lever in the voting booth while holding their noses. It should be even harder in 2012 with the other hand held over their eyes. You can bet B.O. will find some new ACORN style assistants to help out in the voting booth, but even that won't be enough. B.O. is Hawaiian toast. 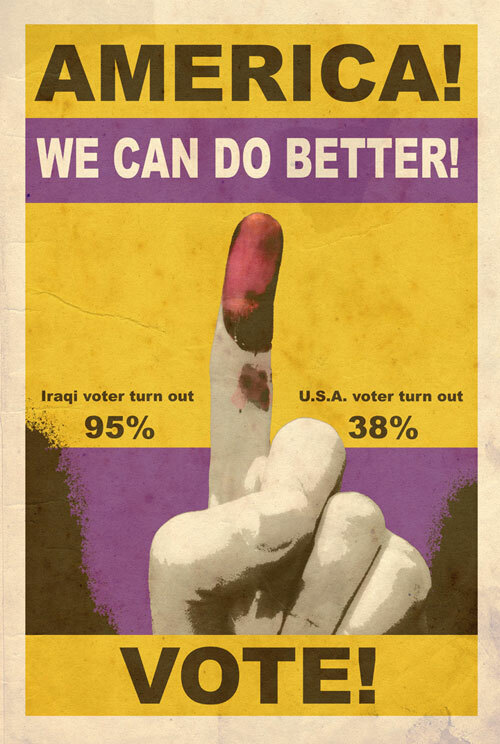 The latest polls show that merely 30% of voters intend to vote for Obama in 2012. Support for B.O. is falling like the Roadrunner with an anvil racing off a cliff. He will be lucky to carry Hawaii and Bernie Sanders. This brings up a valid point that we MUST not allow the left to choose our candidate. I don’t really think we will be fooled again, but we must keep vigilant. I make sure that whenever I speak with anyone about the potential GOP nominee that I stress that we intend to choose our candidate based on their TRUE conservative values and principles. 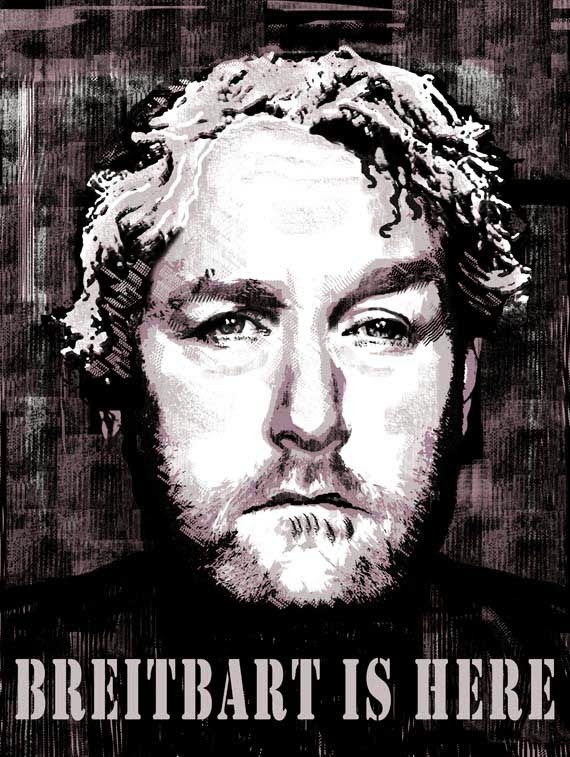 ANYONE can beat Obama, but we don’t want just an Obama-lite, we want a true ANTI-Obama. BTW… If you are not making American Thinker, IOTW, the Noisy Room and Knowledge Creates Power regular stops. whattsa matta witchou? Obama: The G8, uranium & arms to Saudi Arabia: Israel must say no! WASHINGTON, May 30, 2011 — Israel is the land of my dreams. The first time I visited Israel, I knelt and kissed the Holy Land. I touched the stones of Jerusalem, thinking that King David, King Solomon and so many others had walked those paths, and I admired the beauty, the miracle that the Israelis had managed to build, right there in the middle of the desert. And I admired the Israeli Jews, my tough brothers and sisters, and I kept smiling, thinking, "it’s okay, be patient, they are fighting for survival in the middle of those barbarians." Last week, during a speech in Congress, most of us felt the force of leadership of a man whose country’s safety and existence were at stake. We heard his voice resonate through Congress like a roar, strong and decisive. He was one of King David’s successors, Benyamin Netanyahu. The Lion of Judah had been awakened. A few days earlier, President Obama had unexpectedly asked flat out that Israel go back to its pre-1967 borders, a veiled maneuver to achieve the destruction of America’s best ally. He asked them to surrender territory that is strategically crucial to their defense from the usual, yet ever more ferocious enemies of the State of Israel. On December 2, 2010, the Obama administration approved passing control of two uranium mines in Wyoming to a Russian company, Uranium One, after the Nuclear Regulatory Commission approved transferring the mines’ licenses. Thus Russia gained control of half of US Uranium production at the same time that it has been supplying uranium to Iran’s nuclear program. On January 1, 2011, Ukraine sent a shipment of highly enriched Uranium to Russia for secure disposal, a move Obama lauded, saying it "advances a top priority for my administration and for global security." The shipment adds, with Obama's approval, more weapons grade material to the Russian stockpile, again at the same time that Russia supplies uranium to Iran's nuclear program. In February, 2010, Obama banned weapons sales to Israel, and at the same time authorized $10 billions in arms to Arab-Muslim states belonging to Arab League, including Egypt, Kuwait, Jordan, Morocco, Saudi Arabia and the United Arab Emirates. In September that year, Obama authorized the largest arms sale ever to Saudi Arabia, worth $67 billion. The package included 84 new F-15 fighters, as well as upgrades to 70 fighters already in the Saudi arsenal. It included three types of helicopters: 70 Apaches, 72 Black Hawks and 36 Little Birds. The sale also included $30 billion in ships and hardware to upgrade the kingdom’s naval forces. Naturally, the President has been accused by relatives of 9/11 victims of “abandoning America” over support for Islamic cultural centre. You might wonder, why bring up Itamar at this point? We all remember the horrible massacre on Shabbat, when beasts murdered five members of the Fogel family while they were sleeping. The Muslim Palestinian terrorists slit the throats even of the children, among them tiny three-month old Hadassah. Slitting throats, Muslim-terrorist-style, is done slightly, so as to make the victim die slowly, in the most horrible pain while the blood runs out their bodies. My friend, Leah Goldsmith, the wife of Itamar’s mayor, stated at a rally of support we hosted in NYC: “We are at war when people come on Shabbat to slaughter men, women, and children. President Obama has asked the Israeli government to remove the soldiers from the Tapuach junction near us, which protected the Jerusalem-Shechem road. [The Israeli government accepted Obama’s demands.] So you got the butchering of a family, then a bombing at a bus stop because the White House thinks that soldiers checking Arabs is a human rights violation. In the same vein, Obama last week attended, in Deauville, France, the G8 summit of the leaders of some of the world's most powerful economies. They retain this status even though America is quasi-bankrupt and the other members, except Germany, are in dire straits as well. During the summit, despite America's near bankruptcy and despite the fact that Joplin, Missouri had been ravaged and hundreds of Americans killed by devastating tornadoes, the President of the United States decided that his top priority should be the financial support of Muslim countries by the G8. He claimed this would advance the cause of democracy in what his administration has taken to calling the "Arab Spring." Obama succeeded in getting $40 billion committed to advance the “Arab Spring,” rather than trying to get it from the wealthiest Muslim countries, which should and could create that fund to help their own. Notwithstanding America’s bankruptcy, Obama could have been presidential enough to get some of that money for the people of Texas and Missouri, ravaged by fires and tornadoes, respectively. He might even have suggested that the money go to Japan, a nation devastated by earthquake, tsunami, and nuclear disaster. Obama's priorities are not surprising from a man who, in his “Middle East” speech on May 19 said that, “we are connected to that region by forces of faith.” Muslim faith, that is. Each item in this list might seem small, but taken together, the picture they paint of Obama's priorities is damning. And the full list is much, much longer. When Obama demands bluntly that Israel go back to its pre-1967 borders, it is a veiled way for him to set up Israel’s destruction. Sadly, the suicidal collective viewpoint that has been developing in Israel since its inception is moving the likes of Ehud Olmert to speak up, in spite of the fact that Olmert’s moral corruption strips him of any kind of moral authority to speak up on any grounds. Israel should only be burdened with one enemy, the enemy without. Israel is at war, and this critical fact is ignored when it allows the enemy within, emboldened by Israel's most important ally, to become vocal and express opinions that are detrimental to the country’s security. Whoever speaks of giving up the strategic zones that are historically and forever connected to the heartland of the Jewish people should be incarcerated. These verbal attacks are even worse than exploding a grenade in the middle of innocent civilians. The effect of a grenade stops with the victims. The impact of any verbal and ideological attack by Israelis who are unaware and unwilling to identify themselves as Jews is such that those attacks can be repeated, retransmitted, copied, distributed and manipulated ad nauseam in this internet era. Obama’s greatest victory would be to get Jews to harm other Jews, G-d forbid. Land for peace has never worked. Any mathematician can easily say there is no chance, such a formula is doomed. Peace for Peace. That’s a possibility. Israel has only ONE possible answer to Obama. ISRAEL, JUST SAY, FIRMLY, UNHESITATINGLY, “NO” TO OBAMA! Goodwill Ambassador Eliana Benador is US Representative of the Shomron Liaison Office, Samaria, Israel, former President of Benador Associates, and a national and international political analyst and global strategist. An example as to how powerful Islam has become in America????? H'mm! Washington Times & Too Hot To Handle? Well, it would appear that my friend, @ElianaBenador has been classified, too hot to handle by the Washington Times. Her blog, "In The Eye of The Storm", which focuses on Islamic Terror activity has been shut down. Here's the link http://communities.washingtontimes.com/neighborhood/eye-storm/ where you'll see that it has been closed. So it would appear that Ms. Benador has stuck an Islamic nerve and the will of a few loud Muslim voices WIN! Who is next? Or do you write in and DEMAND that her blog is reinstated! Here's a link to the last entry at the Washington Times. It's all about PRINCIPLE people! Demand this CHANGE! United we stand! Please contact Jacqie Kubin at the Washington Times and demand Eliana Benador's blog be reinstated. Thanks everyone. You can bet that this will not be the last, but rather one of the first of many, blogs that will be censored and closed down!! In the viewpoint of several friends and fellow bloggers who are in the know, this is a precursor to seizure of gold and silver. And Zero Hedge is reporting this correctly. Terresa of the NoisyRoom found this article at Goldline.com. (Need a subscription to read the whole thing, but the title says it all). "The only thing we have to fear is fear itself." With these words, Franklin Delano Roosevelt galvanized a nation in his inaugural address on March 4, 1933 as 32nd President of the United States. The nation was in dire straits as the American economy sneezed and the world caught pneumonia. Inflation was running negative as the economy failed to grow (and actually declined) for its fourth consecutive year. One small step toward Executive Order 6102 part 2, and one giant leap for ‘corrupt congressman kind’. So far we have only received this warning from Forex.com. We are waiting to see which other dealers inform their customers that trading gold and silver over the counter will soon be illegal. It appears that Forex.com's interpretation of the law stems primarily from Section 742(a) of the Dodd-Frank act which "prohibits any person [which again includes companies]from entering into, or offering to enter into, a transaction in any commodity with a person that is not an eligible contract participant or an eligible commercial entity, on a leveraged or margined basis." The Dodd-Frank Wall Street Reform and Consumer Protection Act (“Act”) has changed a number of laws in all of the securities acts including the Commodity Exchange Act. Two specific changes deal with certain transactions in commodities on the spot market. Specifically, Section 742 of the Act deals with retail commodity transactions. In this section, the text of the Commodity Exchange Act is amended to include new Section 2(c)(2)(D) (dealing with retail commodity transactions) and new Section 2(c)(2)(E) (prohibiting trading in spot forex with retail investors unless the trader is subject to regulations by a Federal regulatory agency, i.e. CFTC, SEC, etc.). According to a congressional rulemaking spreadsheet, these are effective 180 days from the date of enactment. We provide an overview of the new sections and have reprinted them in full below. The central import of new CEA Section 2(c)(2)(D) is to broaden the CFTC’s power with respect to retail commodity transactions. Essentially any spot commodities transaction (i.e. spot metals) will be subject to CFTC jurisdiction and rulemaking authority. There is an exemption for commodities which are actually delivered within 28 days. While the CFTC wanted an exemption in which commodities would need to be delivered within 2 days, various coin collectors were able to lobby congress for a longer delivery period (see here). It is likely we will see the CFTC propose regulations under this new section and we will keep you updated on any regulatory pronouncements with respect to this new section. The central import of new CEA Section 2(c)(2)(E) is to regulate the spot forex markets. While the section requires the CFTC to finalize regulations with respect to spot forex (which were proposed earlier in January), it also, interestingly, provides oversight of the markets to other federal regulatory agencies such as the CFTC. This means that in the future, different market participants may be subject to different regulatory regimes with respect to trading in same underlying instruments. A Wall Street Journal article discusses the impact of this with respect to firms which engage in other activities in addition to retail forex transactions. The CFTC’s proposed rules establish certain compliance parameters for retail forex transactions, requires registration of retail forex managers and requires such managers to pass a new regulatory exam called the Series 34 exam. We do not yet know whether the other regulatory agencies will adopt rules similar to the CFTC or if they will write rules from scratch. The actual rule language exempts a transaction if it "results in actual delivery within 28 days or such other longer period as the Commission may determine by rule or regulation based upon the typical commercial practice in cash or spot markets for the commodity involved;" Alas, the commission has decided not to intervene and keep the exemption status window so small as to affect virtually all exchanges which transact in the gold and silver spot market. At present, advisers can treat the unregistered funds that they advise, rather than the investors in those funds, as their clients for purposes of this exemption. A common practice has thus evolved whereby certain advisers manage up to 14 unregistered funds without having to register under the Advisers Act. Accordingly, the removal of this exemption represents a significant shift in the regulatory landscape, as this practice will no longer be allowable in approximately one year. Also, when tried to tweet this yesterday it was blocked?!? Today it worked. Time to remember that: "We Surround Them", not the other way! Call the United States Capitol switchboard today... everyday at (202) 224-3121 and keep them on their toes! Call the White House at 202-456-1414 or 1111 and tell President Obama you have had enough! Calling All Patriots... When Will We Have Enough?? Is Obama Poised to Cede American Sovereignty by Signing Global Warming Treaty? How Did Your Congressman Vote On Cap and Tax... uh Trade???? Thanks for calling the Congressional switchboard. Keep up the pressure: "NO on Cap and Trade"!!! "NO Vote on Obamacare", NO on another Stimulus Bill, NO to the never ending parade of "Power Grab Bills", and ABSOLUTELY NO on the Climate Change Treaty in Copenhagen!! "No" on Cap and Trade and "No" on Government Controlled Healthcare!!! And Keep up the good fight! Keep up the Pressure on both the House and Senate! These are 2-fights the American People cannot afford to lose!!! If you choose not to go this route… call and fax your Senator and as many of them on the list yourself, but don’t sit idly by!! Also, check in regularly with PetitionPelosi.com - Petions Always Changing, fighting Pelosi’s liberal and unconstitutional bills and actions. Our Only Business, During These Challenging Times, Is the Business of Freedom and Our Country! We apologize in advance for any Videos or links that are not functioning in these or other older posts. Internet information... like 'true' history in our student's textbooks are under constant attack by the Progressive Movement and even more so under the present administration. Try to save what you can to your own computer. Alinsky Method - What Is It? Updated: If you'd like to contact Speaker of the House Nancy Pelosi, here's the contact information that you'll need. Dad: Are You Part of “The Great Conversation”? ALERT: Much Worse Than They Tell Us!! THE FLAG IS GONE. Have You Noticed ???? Bibi Showing the GOP the Ropes?! ?